Simply put - a “synergy” means combining two or more essential oils together for a more effective result than would be possible using a single essential oil. A synergy is the concentrated use of essential oils that can be used in a diffuser or that can then be added to a carrier oil or “blend”. They can help with common issues such as stress, anxiety, sleeplessness or just use in a diffuser for your home or office. 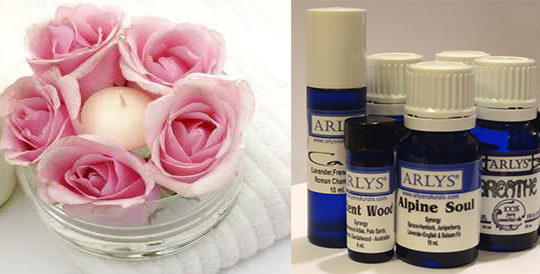 Arlys Essential Oil Synergies are bottled in 4 ml. and 10 ml. Cobalt Blue Glass Bottles. Some Arlys Synergies are also available in blends in a Cobalt Blue Roll-On Glass Bottle. At ARLYS, we take pride in the formulation of our Essential Oil Synergies and Blends. Do check back often as we are always adding new selections.